Kohlrabi is the green or purple bulb in picture above. It can last one month in plastic container/bag for one month, with stems and leaves removed. Leaves are edible too. 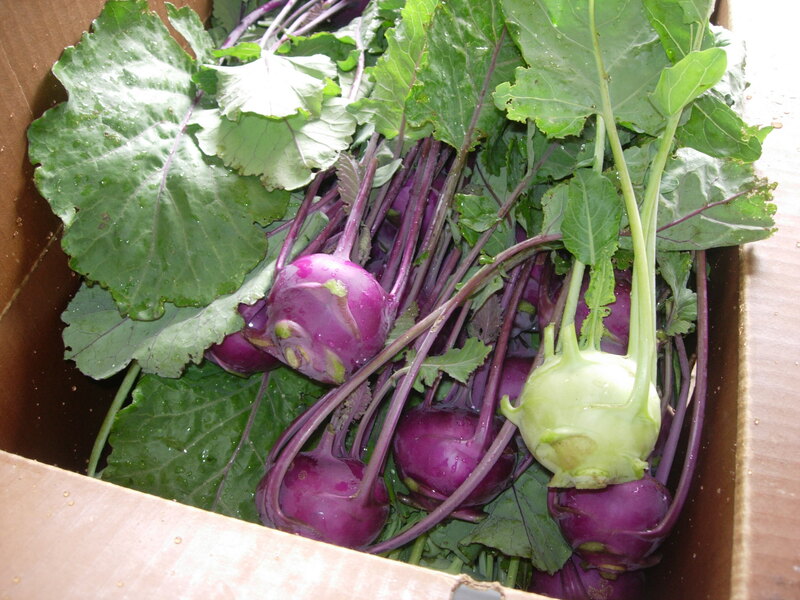 Kohlrabi is excellent cooked or raw. Tender skins are edible, peel if you prefer. Grate raw into salads. Slice and eat like an apple. 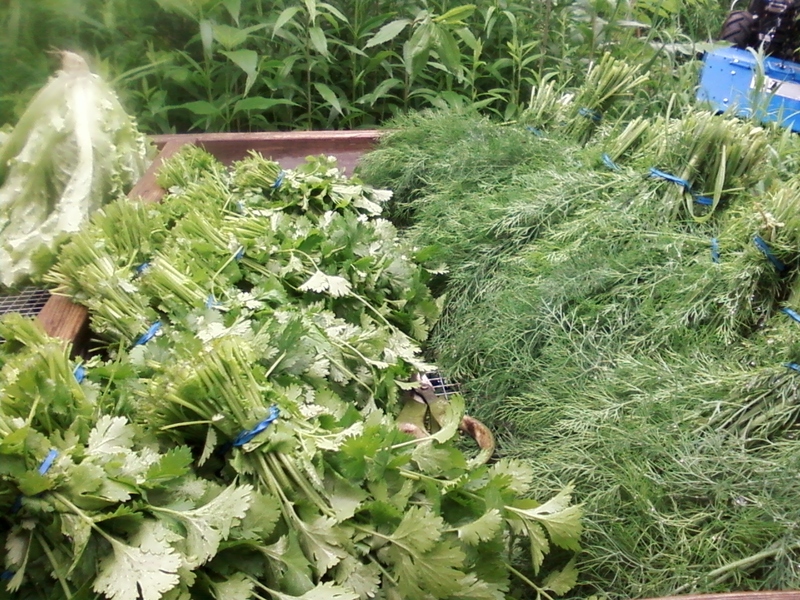 Sauté grated in butter, season with herbs, salt to taste. Scroll below for a kohlrabi & radish slaw. One of our raw favorites! 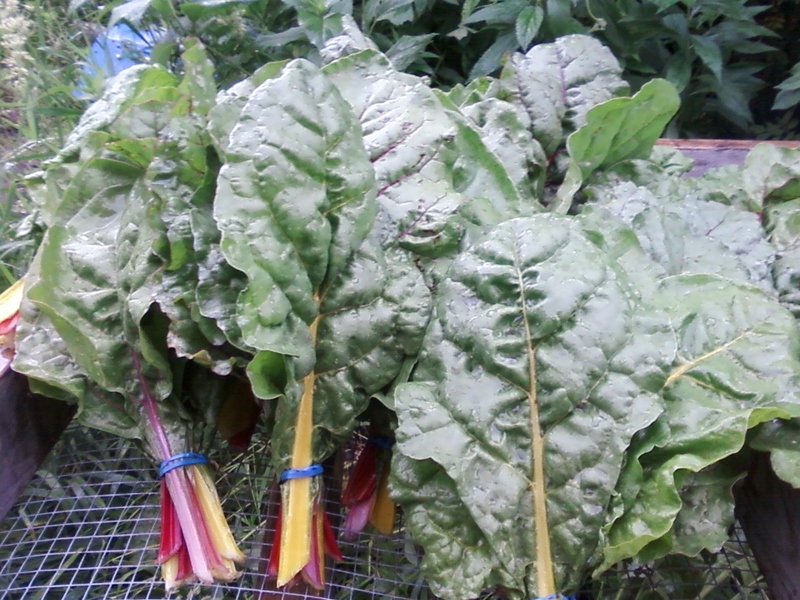 Kale is great raw (juiced) or sautéed. Prior to use first rinse it to remove any soil or insects. 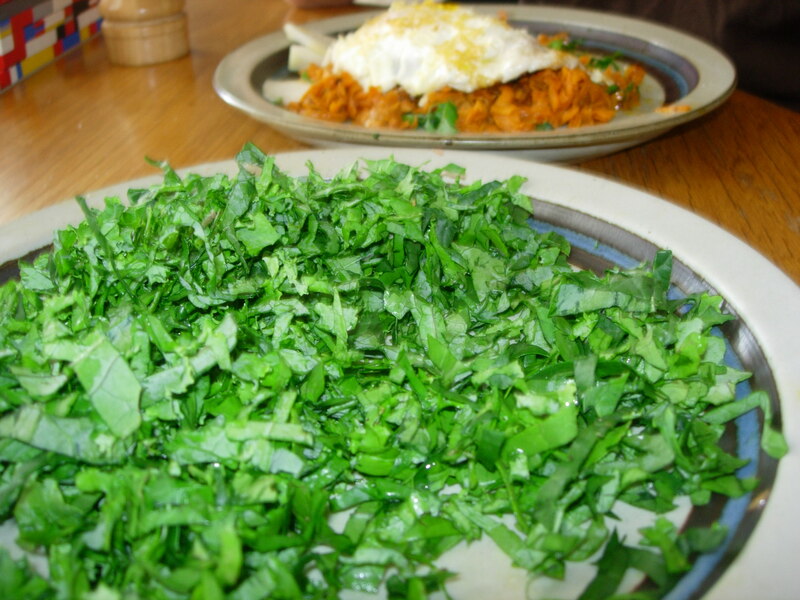 Remove the main rib/stem, gather the de-ribbed leaves and thinly slice or chop coarsely (which ever you prefer). This is a great way to prep it in advance and is ready to be added to eggs, quiches, casseroles, soups, salads or mashed potatoes. We store it in a reusable container. It will keep fresh in a bag or container about a week. 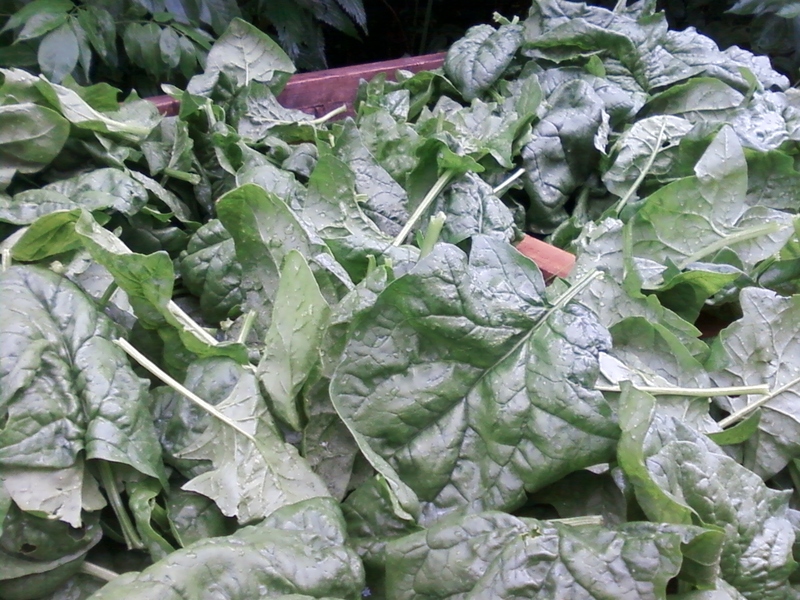 For long-term storage kale can be frozen, wash, de-stem, and blanch leaves for 2 minutes. Fresh Basil! A super and great way to store basil is at room temperature with stems in water (if the leaves are in water they will turn black quickly). This is also very beautiful, aromatic and of course edible. 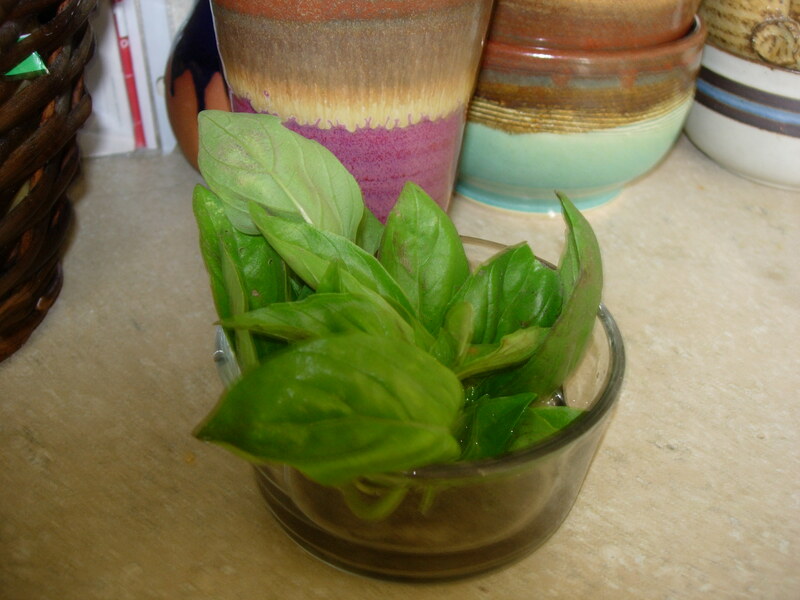 Use to make pesto, add to pasta, serve with tomatoes, or make a basil lemonade. 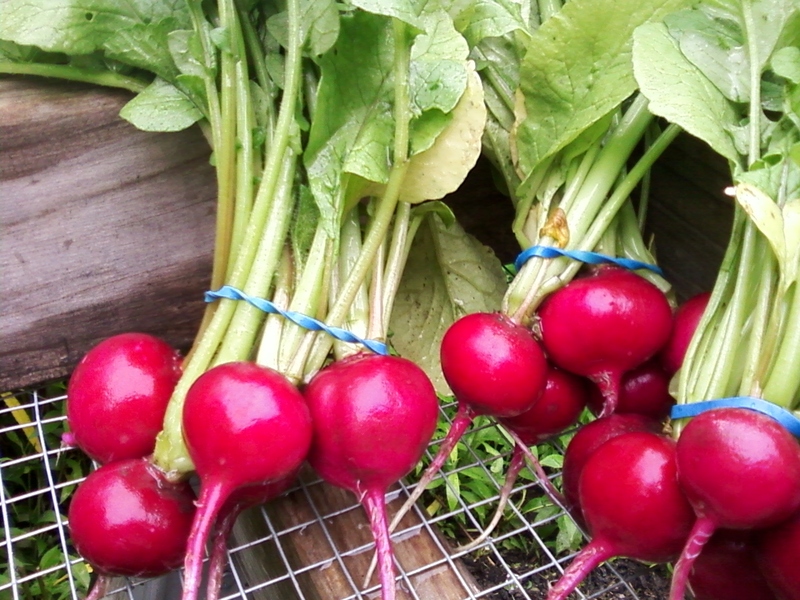 Radishes – remove the tops to store in the refrigerator if not using immediately. 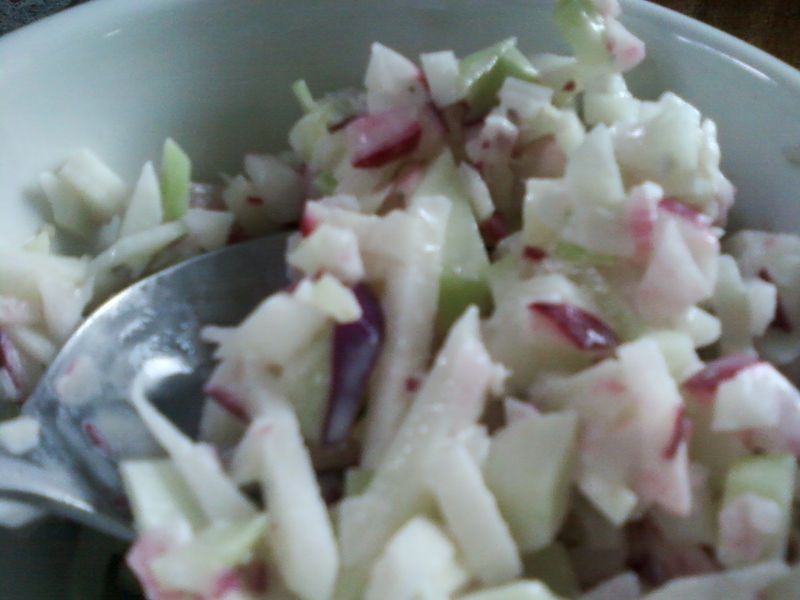 Add roughly chopped to potato or tuna salads, as well as kohlrabi slaw. Remove green tops, finely chopped/diced with skins on (purple, green kohlrabi and radishes), season to taste with mayo, Dijon mustard, and garlic salt. Serve as a side dish – enjoy!